Description: At Random has a distinct personality. 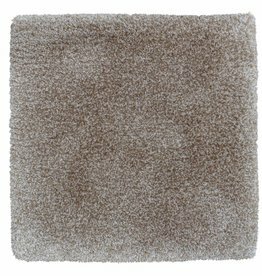 The hand tufted rug, composed out of Eucalyptus yarn at a height of 10 mm, is made with a specific technique called cut/loop. Alternated between getting cut or being looped through the backing in a specific pattern, the yarn is visible from different sides, giving the rug a classic ton-sur-ton elegance. In addition to the 8 colors in our standard collection, we can provide you with 51 other colors to choose from! The rugs are made to measure, in any shape, size, height or color you desire. View all At Random products.